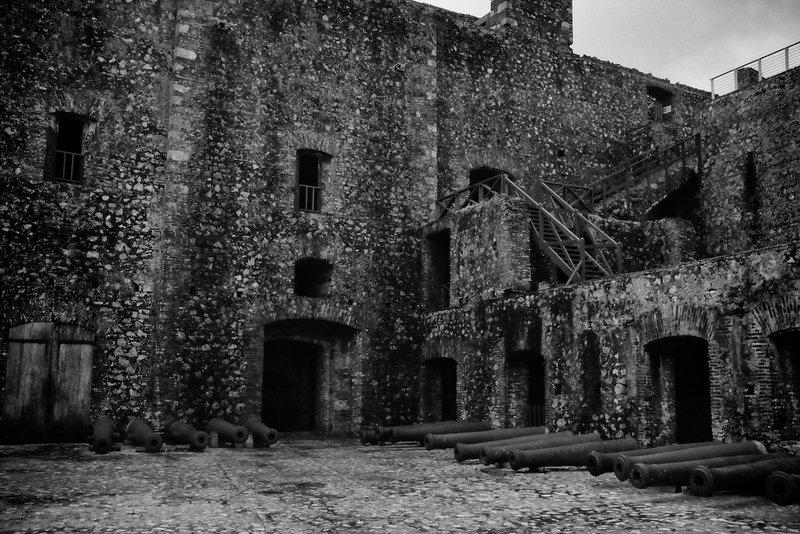 These are photos of the Citadelle Laferrière and The Palace in Haiti. 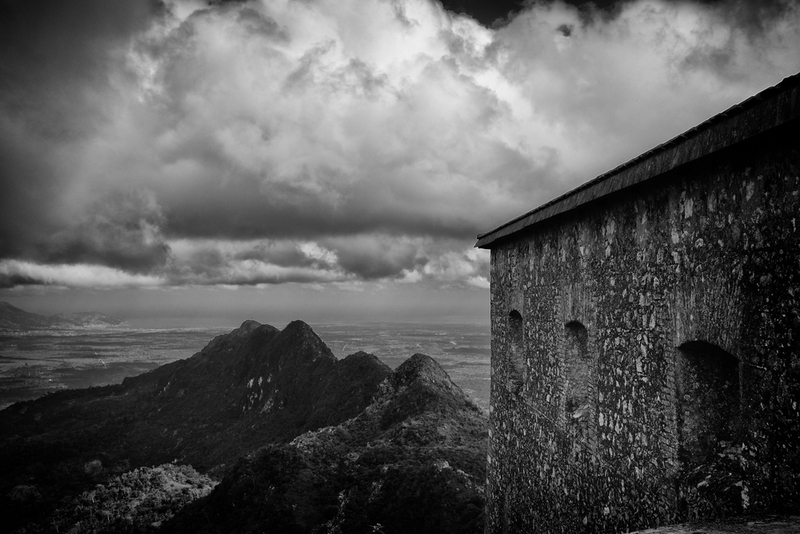 These shots by Scott Walker also include the views from the Citadelle. All shots taken with a Fuji X100s. 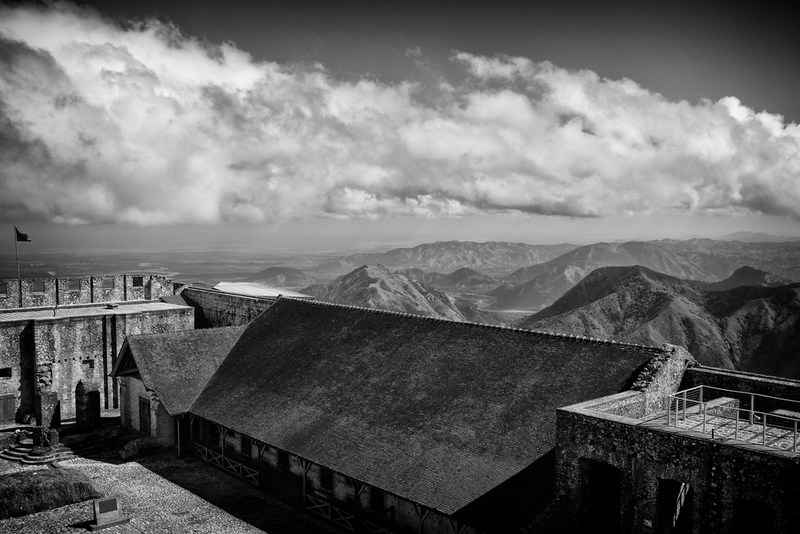 The fort and the palace sit atop the Bonnet a L’Eveque mountain in Haiti, one of the highest points in the country. The views are breathtaking as is the ride by mule to the top. The fort took about 20,000 people to complete, many of whom died while hiking stones to the top of the mountain to build the structure. 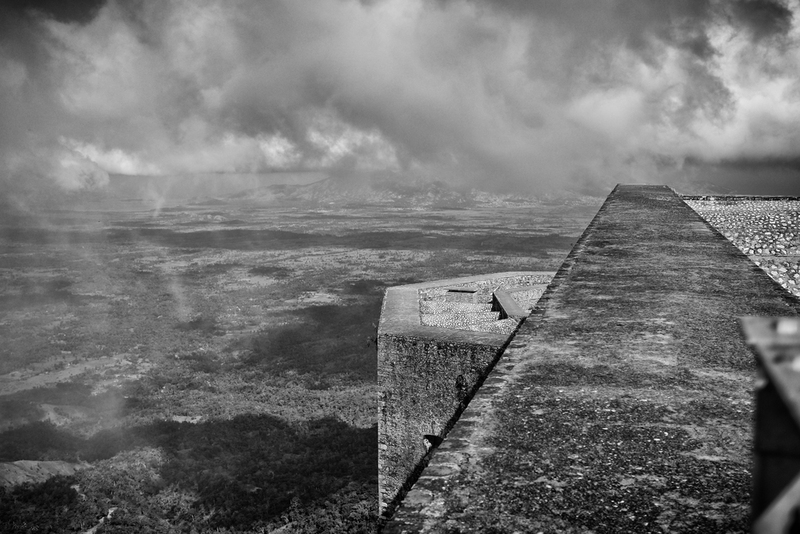 Henri Christophe initially commissioned the fortress to be built in 1805. He and his wife lived in the palace. Christophe was a general in the Haitian army and chief administrator of the country's northern regions. However, after having a stroke int he 1820's, he committed suicide with one gunshot to the head. His body was later placed somewhere in the fort, but no one knows for sure where in the structure.